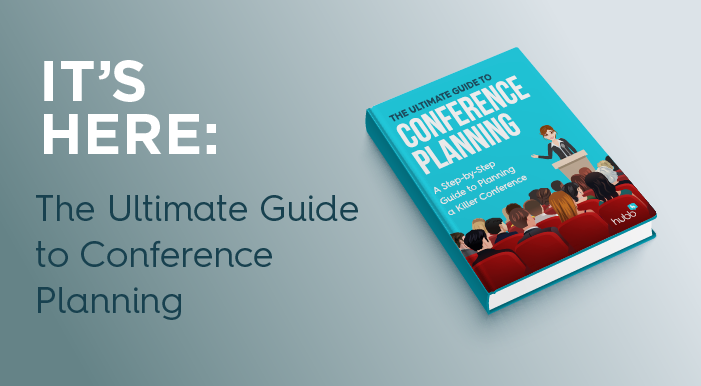 Our sister company Hubb has created The Ultimate Guide to Conference Planning eBook to give you access to the collective decades of conference planning experience. Planning a conference is hard. It’s an insane amount of work, and the number of details to account for are only exceeded by the number of things that could go wrong. It’s also one of the most rewarding things you can do (which helps explain why we put up with the crazy hours and stress that comes with it). Experience makes conference planning easier; like many things, the more you do it, the better you get at it. This eBook provides a comprehensive look at building your conference program. From your call for content, to abstract and speaker management, to event marketing and creating engagement at your event, all the way through post-event analysis, the first-time conference planner will find a wealth of useful knowledge and strategies that will ensure a successful event. But this eBook is not just for the beginner. Event managers of any skill or experience level will undoubtedly find helpful tips and tricks that will improve their already great work.